the best hour of my week. 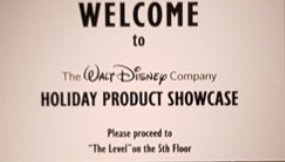 It was over 90 degrees on the streets of New York, but the holiday spirit was in full force inside the showcase. There was so much to see and I want to share it all with you so I am going to do a series of posts about all the exciting merchandise that will be available soon. 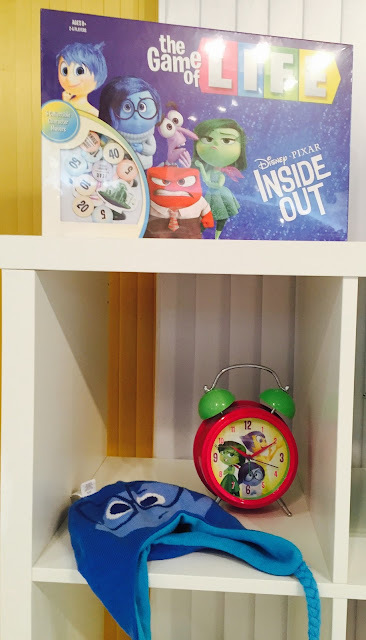 Since Inside Out is hot right now, I am going to start with the film merchandise which is just as colorful, lively and fun as the film. 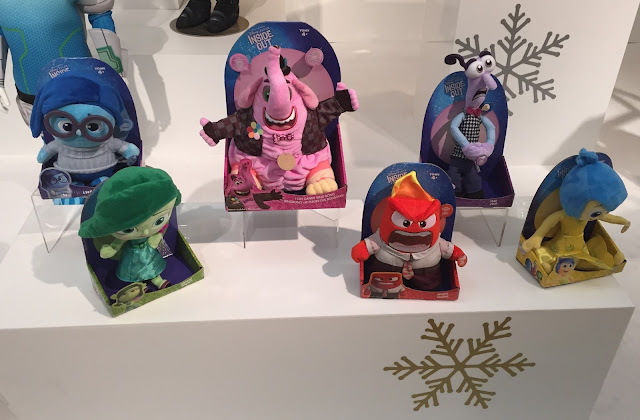 My favorite items from the Inside Out collection are these character plush dolls. They talk when you squeeze them! Bing Bong is the best! When you squeeze him he cries and of course his eyes fill up with candy. I can hear you all saying awwwww! Check out the reversible hat. I love it. Sadness is featured on one side, flip it over and there's Joy! It will be available at Party City for $9.99. Yes $9.99! This is not a typo. I hope I can squeeze my hair into it or I might need to get a pixie cut a la Joy. Inside Out and the Game of Life go well together don't you think? Any guesses as to the other hot holiday items coming out? Interactive/Tech and Tsum Tsums are huge! Marvel and Star Wars are prominent. It's going to be a Magical Holiday Season!